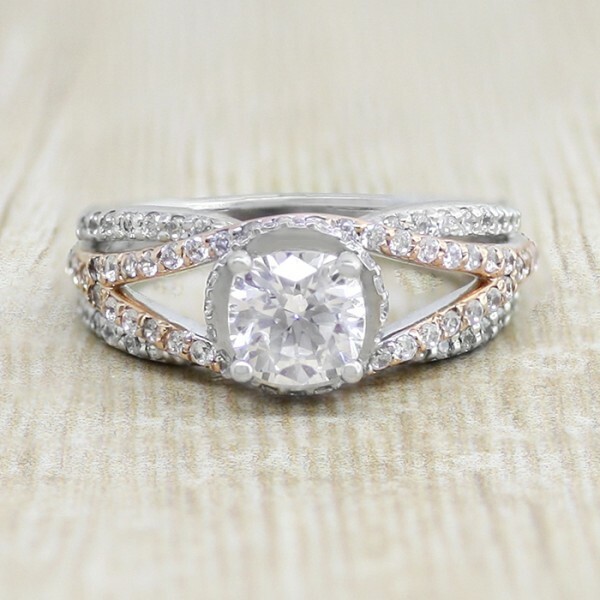 Custom Engagement Ring with 0.84 carat Cushion Cut - 14k White and Rose Gold - Ring Size 7.25 was added to your cart. This delicate custom designed engagement ring features a Cushion cut Contemporary Nexus Diamonds placed in a lovely split-shank setting encrusted with accent stones. 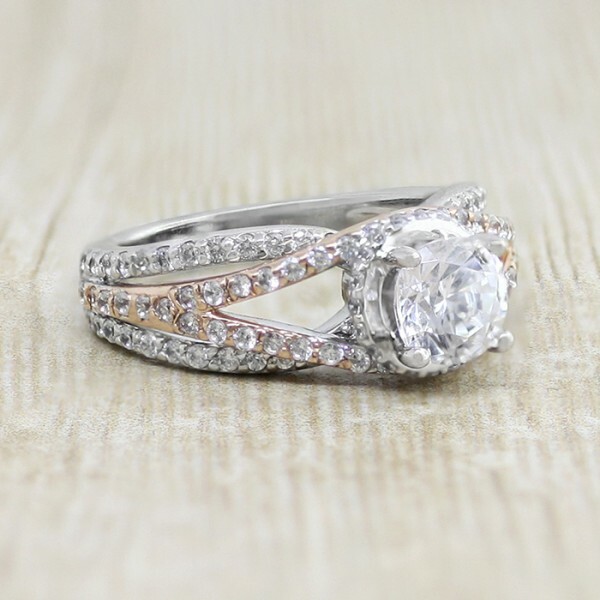 The 14k Rose Gold detail brings out the sparkle of the stones and gives the ring an unmatched quality.